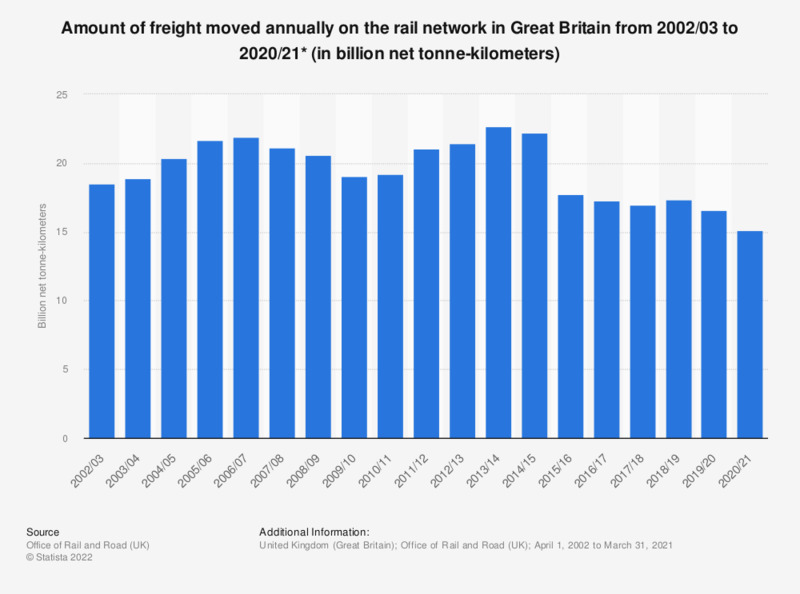 This statistic depicts the total amount of freight moved by train annually in Great Britain from 2003/04 to 2017/18. The general trend shows a peak in freight moved in 2013/14, at 22.21 billion net tonne-kilometres. Since then, the amount of freight moved annually has declined, reaching 16.95 net tonne-kilometres in 2017/18.